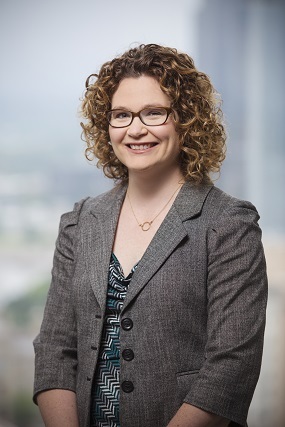 LITTLE ROCK – Attorney Jennifer Pierce presented today at the Arkansas Community Colleges College Advance & Marketing Officer Conference held at the University of Arkansas Pulaski Technical College. During the conference, Pierce discussed tax law and deductible amounts for charitable contributions. Pierce has extensive experience in estate tax planning for high net worth individuals, succession planning for closely held family businesses, and handling complex probate and trust administration cases. She also advises non-profit and tax-exempt organizations on formation, planning and tax issues. Arkansas Community College (ACC) members include all twenty-two (22) of the state’s comprehensive community and technical colleges, with the Board of Directors consisting of the President/Chancellor of each member institution. In the absence of a statewide higher education regulatory authority, the Board coalesces to become a stronger, more unified body for education reform. Together the ACC Board, executive director, and staff are a collective voice to maximize resources and efforts that serve Arkansas students, communities, and business/industry.